Aspect Dr Dynamic Duo’s aesthetic Facials. We use state of the art UV Skin analysis technology to look deep into your skin so we can clinically predict your current skin age and what it will look like in the next 5 – 10 Years. Anti-Ageing and ‘Skin Health For Life’ is a lifestyle choice, by eating the right food using the right products and only having the right treatments you can maintain your ‘Skin Heath for Life’ and get the best out of your skin. At Reflect we specialise in helping you either maintain or reclaim your healthy skin, with our wide range of treatments that incorporate the latest technology including the award-winning HydraFacial and a holistic approach to Anti Ageing. Our process starts with a full in-depth analysis of your skin and an individually tailored treatment plan to meet your skin care needs. The Skin Health For Life Process can help you deal with existing issues, maintain your future skin health and reduce the signs of ageing. 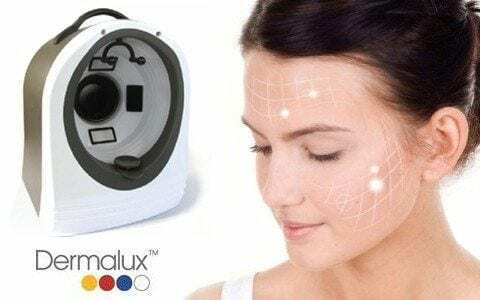 Advanced Skin Analysis – Is your face too old for you? Find out with a Skin Analysis Consultation Using advanced skin imaging technology Reflect can help you to understand what your true skin type is and its real condition. Then based on that analysis, we can truly recommend which treatment and skin care products are best for your skin concerns.